Get this limited edition, postcard-sized print for free, only tonight. It's no April Fools joke that today and the rest of the weekend's weather forecast is expected to be delightfully sunny and warm, approaching a pleasant 70 degree high both today and Saturday. Time to break out those spring clothes and sunglasses, and get outside to enjoy it all. This evening is a great opportunity to do so, as the downtown Spokane core is filled with arts and culture events for April's First Friday arts showcase. You can find all the events happening around downtown and beyond at our static First Friday events page, Inlander.com/FirstFriday. Updated monthly in the days leading up to First Friday, we include events both submitted to its organizer, the Downtown Spokane Partnership, and others that are independently organized. The number of art shows, live music and other related activities always increase in number this time of year, and for April our list features a whopping 50 venues opening their doors this evening, most from 5-8 pm, welcoming visitors to see the local artists on their walls. While it's nigh impossible to visit all 50 locations tonight, many of the venues will showcase April's artists throughout the month during their regular business hours, which we've noted in the listings where we can. A component of the "Float" installation. This West Main Avenue gallery consistently hosts the work of local artists who are pushing creative boundaries. 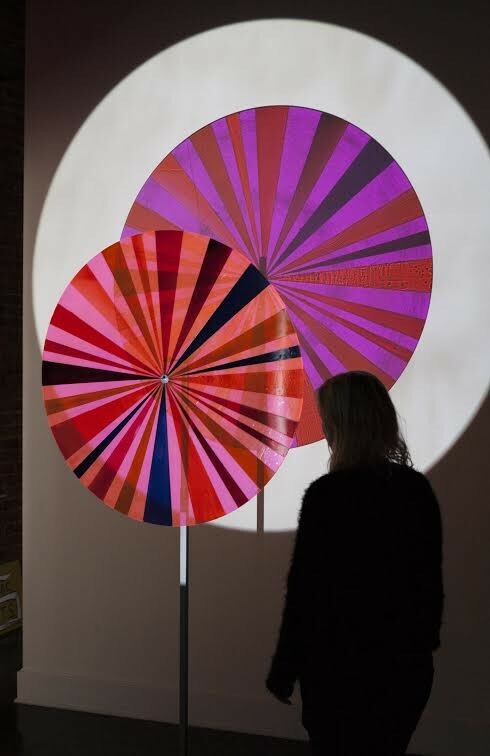 This month, a collaborative installation by two Swedish artists adorns SAP's space. Anna Sorenson and Daniel Rydh are living in Spokane through the rest of April as part of Laboratory Spokane's artist residency program. "Float" is open tonight from 5-9 pm, and will be on display through April 28. Each month, the downtown bookstore hosts its First Friday poetry open mic session, in April hosted by Spokane Poetry Slam's Isaac Grambo. This month's "Remember the Word" featured reader is Himes Alexander from local band The Smokes. 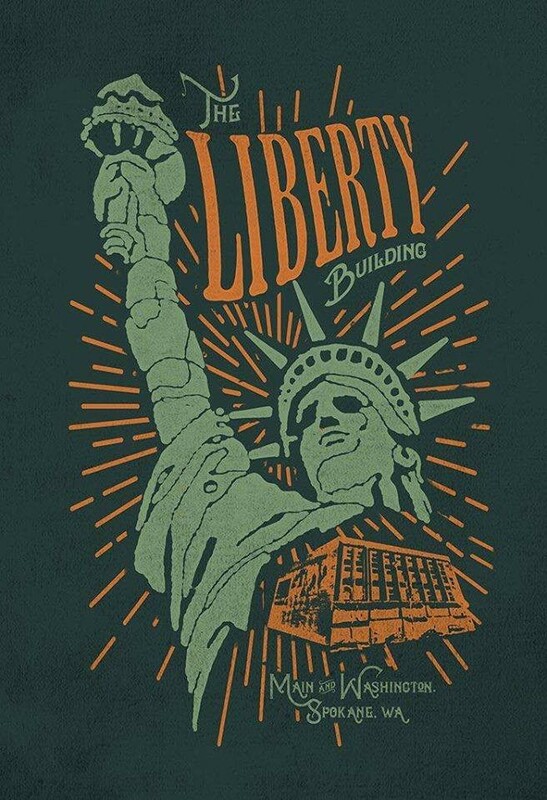 While you're there, also make sure to pick up one of the limited edition postcards (only 100 were printed) by Vintage Spokane Prints, this month of the historic Liberty Building. Downtown Spokane Partnership has teamed up with Chris Bovey, Inlander art director and creator of the popular Vintage Spokane Prints brand, to create limited edition postcard-sized prints, distributed monthly for free at a designated First Friday site. February's postcard featured the Clocktower, and March was of the Steam Plant Square.